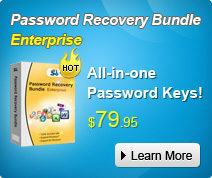 The Easiest and Safest Password Recovery Solution for Windows, Files,Email,Internet Browser,IM and Asterisk, etc. Windows 10 is the latest Operating System of Microsoft. Since its release, there are more and more personal computer users update their old system to Windows 10. However, sometimes once update system to Windows 10, they are easy to lose data in the computer if there is no backup. We cannot emphasize the importance of backup too much. Without data backup, all the things in the disk C may be lost unexpected, especially the materials in the computer virtual desktop. Therefore, how to backup PC before upgrading to Windows 10, is the main topic in this article. Backup is a way to deal with the accidental situation about files missing or data loss. We can back up the data in storage device to other place, such as the cloud servers, the other computer, other hard disk or USB device, etc. No matter it is a PC or Mac, a tablet computer or mobile phone, data backup is a valuable lifetime habit obviously. With the backup, we have no worry about losing data. No matter how many times you tries to update Windows system , even it is fail to upgrade, we have no worries about it. Just to downgrade it to original system is okay. In this circumstance, we can still use it and see the primary data as usual. If you would like to backup disk before upgrading to Windows 10, then it is not so difficult to achieve that. You can take advantage of Windows Boot Genius tool to do backup disk as long as you can. This software is a toolkit to fix all Windows problems we may meet when using Microsoft Windows system. It has 5 key features, which are Windows Rescue, Password & Key Recovery, Data Recovery and Disk Tools. You can read the simple guide about the steps as below. Step 1: Download and install Windows Boot Genius to your target PC. Then double click the shortcut to open the software. Then you can see the user interface. Step 2: Click the “Disk Tools” in the main button and then you will see the sub function of it. Choose the “Disk Backup” and then you can see the “Disk Backup” with color yellow. Step 3: Click the “Disk Backup” to run it and backup disk before upgrading to Windows 10. If you want to backup files before upgrading to Windows 10, the most original method is to transfer all the important data to another hard disk or USB flash drive by copying or cutting them. First of all, you should prepare a USB flash drive. The capacity of the USB depends on the size of your files. Generally speaking, at least 2GB is enough if there is no too much data in your computer system. Secondly, take the USB to the PC you would like to upgrade, and then move the important data from the PC to USB. Thirdly, begin to upgrade Windows 10. That’s all the solutions about how to backup pc before upgrading to Windows 10. By the way, if you create a login password in the computer but lose password in Windows 10 after updating, you can use SmartKey Windows Password Recovery software to unlock it. This page is under construction. The forum and Wiki are still up!